Hush Puppies at the Optimist. Ummmm, Yeah!!!!!!! Nestled up into that flatiron triangle between Howell Mill Road and Marietta Street on the west side, the Optimist is a brilliant use of that space. Valet parking is ample, and a must. After you de-car, you wander into a welcoming courtyard that is complete with a three hole putting green, chaise lounges - though it might be a little chilly for them on Monday - and, best of all, cotton candy. That's right, pink, fluffy, gratis, cotton candy. Now, I'm not sure if they'll have it on a Monday night. But, give it a try. The design concept follows along the playful, refined palette that has made the west side's top dining venues as good as they are in the last few years - the Spence, JCT Kitchen, Abattoir. 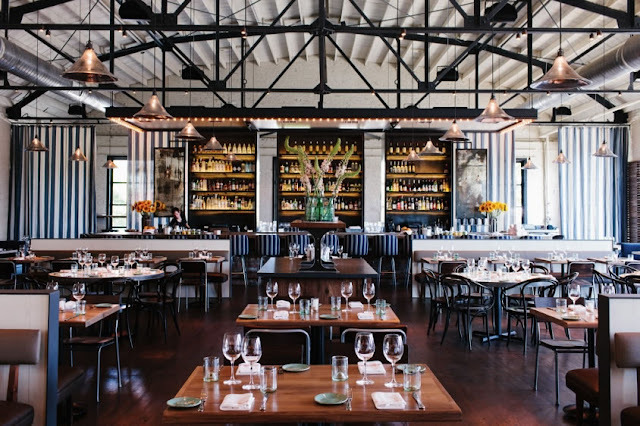 A warehouse-turned-fine dining fish camp is what you'll find inside. A decidedly nautical theme will be a refreshing counterpoint to the Halloween Monday chill. The Optimist's warehouse-turned-fish camp atmosphere sparkles with crisp clean design touches across the board. There's a few choices for dining locale. Main Dining room, with it's wooden tables, well-spaced booths, and theatrical view of the kitchen. The main bar, with what is officially Here's What You Do's favorite bar stools. They are the epicenter of the Optimist's nautical theme, and set the tone for the whole place. Then, there's the oyster bar. A brilliantly welcoming approach to overspill from the dining room. The tapas is wonderful there, and the the sights and smells of the raw seafood kitchen are the perfect backdrop. Ok. 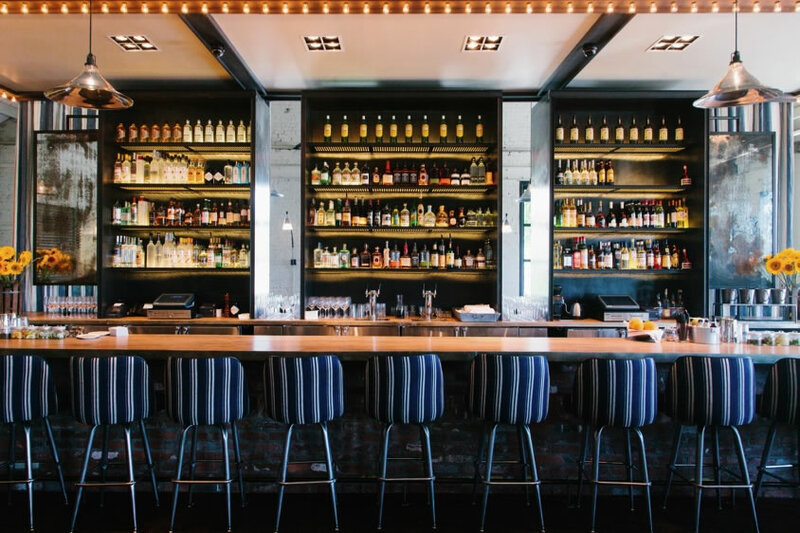 These are voted Here's What You Do's favorite bar stools in Atlanta. The Optimist has a main dining room and an Oyster Bar for those focused on tapas and being close to the mariner's bounty. That was us on our recent visit. We took our seats at the Oyster Bar, with little pink tapas menus in hand, and were greeted by Coby, our dining guide, friend and charmingly deep-voiced companion. 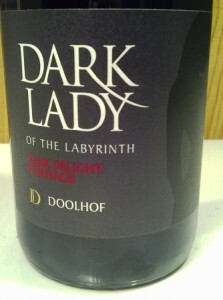 On what seemed to be an oyster bar walkabout, Coby would stop by from time to time and make sure we were ok as we tucked first into a bottle of Dark Lady of the Labyrinth, a wonderful, wonderful South African pinotage. See what Gil Kulers had to say about it here. Have a little Dark Lady on this Halloween-eve-eve Monday. We paired the Dark Lady first with the charred octopus, a spicy, delightfully simple plate of a single curved octopus leg wrapped around kimchee puree and candied coriander. To that we added wood oven roasted scallops with spiced applesauce and crispy pancetta. The scallops were delicious. We only wished that the accoutrements had been toned down a little - particularly the pancetta - to let the scallops take center stage. We followed with the wood roasted dungeness crab & lobster in a lime-chile "butter bath". Get ready to get your hands dirty. With a whole bunch of utensils, we tucked into this mix of crab and lobster shelled goodness. Spicy and rich. It was perfect. Finally, we had the seafood gumbo. It had a mix of oysters and crab and spice, and yum. And, I'm not talking little bits of oyster and crab here folks. Big, spicy, whole oysters and crab claws surprise you with every spoonful. Topping off the night was hush puppies. At least, we think they were hush puppies. With a New Orleans, powdered sugar kind of approach, they were more like a cross between beignets and hush puppies. Either way. Awesome! Paired with what was left of the Dark Lady, they were perfect. Check out what the Tasting Table has to say on the subject. "We’re not the kind to pass up a beignet. 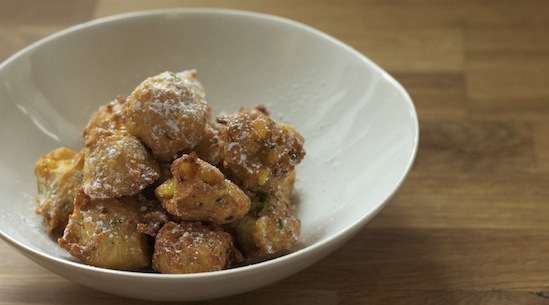 So when Ford Fry offered us the recipe for “beignet style” hush puppies from his new Atlanta restaurant, The Optimist, we were fully at attention. Fry makes them with a corn triple threat of fresh kernels, cornmeal and corn flour, then dusts them with another level of sweetness: confectioners’ sugar. Though they are traditionally a side dish, Fry suggests snacking on them alongside a Salty Dog for a full-circle canine experience—no begging required." 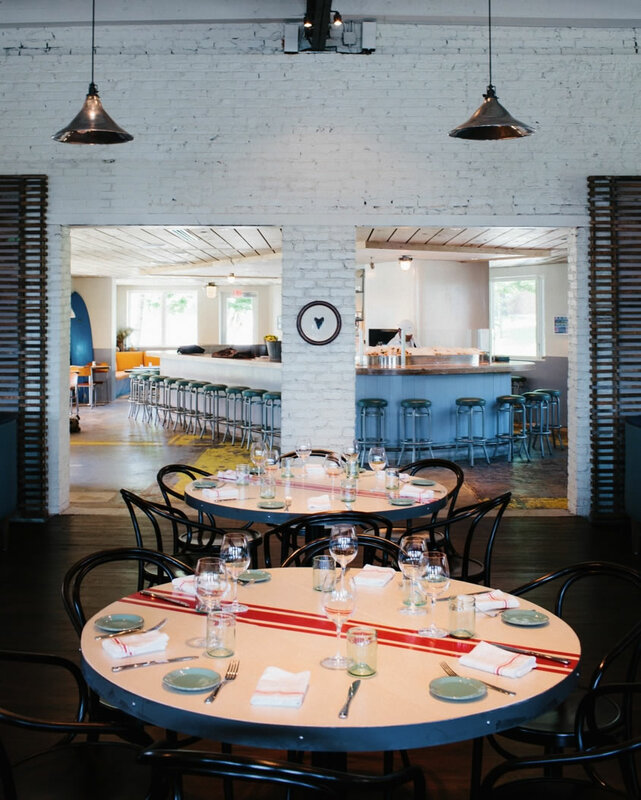 A heavenly Oyster Bar and Tapas Menu at the Optimist. 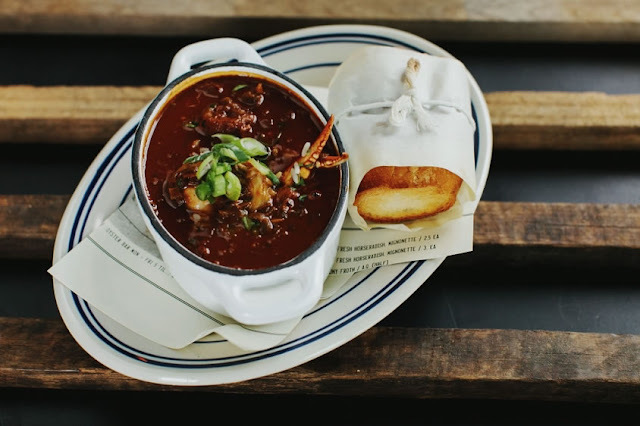 Seafood gumbo, baby. Oysters. Crab legs. Spicy. Good. And, that little gift of garlic bread is so good, it could be its own dish. Coby finished up the night for us with a gift of cotton candy from the courtyard outside. Great way to spend an evening, my friends. We decided to enjoy a little nighttime putt putt in the Optimist courtyard, over our gratis cotton candy. BTW, thanks to the random dude who took this photo for us while waiting for his car. We really like it. Second: November is upon us. And that means Thanksgiving. I'm thinking some Turkey Day prep might be in order. How about a good long look at stuffing? What's the best kind? Where can you get good recipes? Should you actually stuff the bird, or make a dressing instead? All good questions? Do a little stuffing research to prepare. Actually, Rosallee Scott has done a lot of the work for you. She's put together the Top 20 Best Holiday Stuffing Recipe Ideas. Check it out! You might even want to pick out your favorite, and give it a try in a Thanksgiving practice run early in November. Start planning! Third: Sometimes, you just need a little deli sandwich. Or, a big one. Now, good deli sandwiches are kinda hard to find in Atlanta. Not really sure why. Creative Loafing likes Goldberg's on West Paces Ferry. And so do we. Give it a try. Have the pastrami on Rye, with a pickle. Not too shabby. 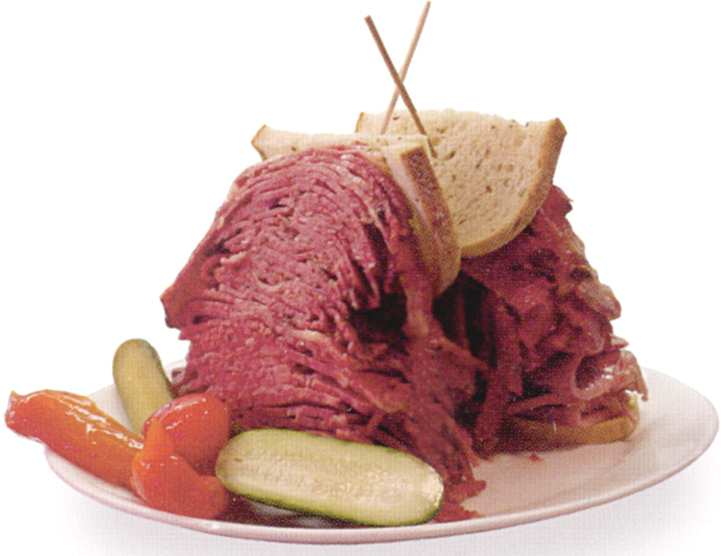 Have the pastrami at Goldberg's for lunch. "Once registered at www.movember.com, men start Movember 1st clean shaven. For the rest of the month, these selfless and generous men, known as Mo Bros, groom, trim and wax their way into the annals of fine moustachery. Supported by the women in their lives, Mo Sistas, Movember Mo Bros raise funds by seeking out sponsorship for their Mo-growing efforts. Seriously, get ready for Movember by preparing for the clean shave. Whether it's you or your fella, make an appointment for a shave on Thursday. 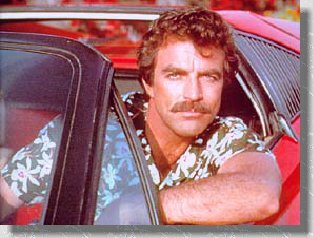 It's a good thing to do, even if you're not going Magnum P.I. Check out Haute Living's list of the top 5 places for a shave in Atlanta. All are good. We say, try Nadine's Triple Crown in Virginia Highland. It's awesome! If you do decide to support the cause, sign up at the Movember site. They have a ton of stuff going on in Atlanta. Make it happen. Fifth: Nap time. You're planning for thanksgiving. You're getting ready for Movember. You have to be Optimistic tonight! It's all very tiring stuff. Take a nap to rejuvenate. Finally: Time to be Optimistic. Chow down, my friends. $60 per person. Today's full day plan can take up to about 4 miles of driving, if your home base is midtown Atlanta. The 4 miles equates to about 3 pounds of carbon dioxide, or the carbon sequestered by about 0.5 sq feet of forest. Calculations are based on the U.S. EPA's green house gas equivalencies calculator. 0.5 square feet of forest would be required to sequester this carbon.